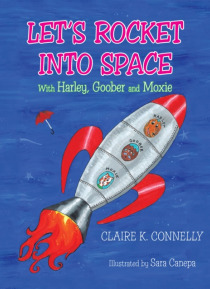 Harley , Goober and Moxie have dreamed of the day when they would lift off and begin an adventure in space together. Their dream has come true! Follow them as they enter space and find many unusual surprises waiting for them. Find your dream and make it happen! LIFT OFF!